The Asian Infrastructure Investment Bank, a China-backed multilateral development bank, aims to put the quality of projects ahead of quantity, the bank’s head said. Since launching with 57 signatory countries in January, 2016, the AIIB saw its members increase to 77 and the bank invest in 13 projects worth $2.1 billion as of the end of May. “We anticipate our 2017 investments to be between $2 and $2.5 billion, but our focus remains on quality projects not just quantity,” AIIB President Jin Liqun said in an email interview with The Korea Herald. Jin said the AIIB’s second annual meeting in Jeju was an important opportunity for the newest multilateral development bank to bring leading thinkers and policymakers to consider how sustainable infrastructure will help the Asian economy grow, while also protecting the environment and addressing climate change. The AIIB’s annual meeting is to be held at Jeju’s International Convention Center from Friday to Saturday. Asia is in need of new and rehabilitated infrastructure, as the region is experiencing rapid urbanization with relatively young demographics and solid economic growth, the AIIB chief said. “Current research suggests the gap between what is being built and what is needed to meet this demand is about $1.7 trillion,” the former Chinese vice finance minister said. Jin said Korea plays a significant role in the governance of the AIIB as a member of the board of directors. “We also have Korean nationals working in very important roles at the bank, and we are extremely grateful for the incredible job the Korean government has done hosting our second annual meeting,” Jin said. Korea has the fifth-largest stake in AIIB. As of the end of May, China has a 32.3 percent stake in AIIB, followed by India with 9.08 percent, Russia with 7.09 percent, Germany with 4.87 percent, and Korea with 4.06 percent. As for US President Donald Trump’s recent pulling of the US out of the Paris Climate Agreement which instantly drew international condemnation, Jin said there is “still a lot of global support” to combat climate change. The Paris treaty commits countries to cut global emissions to net zero by the second half of the century. “AIIB stands ready to do its part to invest in projects that will reduce emissions, build more renewables and improve energy efficiency,” he said. In particular, the AIIB is interested in how investments to upgrade existing power systems and improve energy efficiency can reduce emissions and still improve access to reliable and clean energy for millions of Asian people, he said. In developing green infrastructure in Asia, he picked two main challenges – sourcing high quality and bankable green projects and “crowding in” private capital. 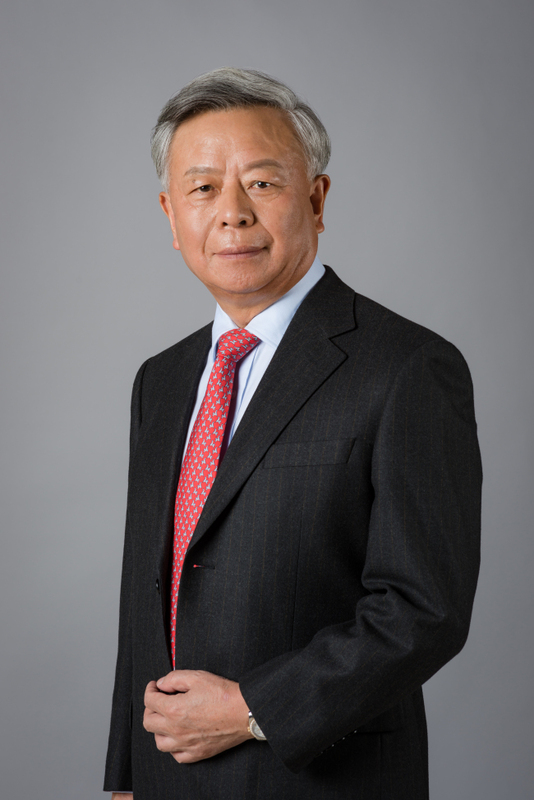 Prior to serving as president of the AIIB, Jin served as the chairman of China’s first joint venture investment bank, China International Capital Corp. He is also the former chairman of the Supervisory Board of China Investment Corp., and the former chairman of the International Forum of Sovereign Wealth Funds. Jin received a master’s degree in English Literature from Beijing Foreign Studies University in 1980. He was also a Hubert Humphrey Fellow in the Economics Graduate Program at Boston University from 1987 to 1988.